How truly rare are diamonds? Why is a synthetic diamond not a false diamond? What are the chances of buying a blood diamond? How can I damage a diamond? There are plenty of stories doing the rounds about diamonds. And we wouldn’t have it any other way! These mysterious gems took shape even before the dinosaurs walked this earth. They have therefore been around for longer than us humans. You will undoubtedly not be surprised that many stories about diamonds take on a life of their own. For example, the ancient Greeks thought diamonds were tears from the gods, whilst in the Middle Ages people believed they had some sort of magnetic power over loved ones. But even today there are still stories going round which aren’t always true or well-founded. Although perhaps not stories about gods or mysterious powers. So allow us to identify these ambiguities or half-truths. And it’s certainly important for these small impurities in our knowledge to be cleared up, considering the value and price of a diamond. Which of these common statements are true and which ones are not? Diamond were found deep in the earth many millions of years ago. How did that happen? Very briefly: carbon was suppressed under high pressure and high temperatures. Only a small percentage of what is extracted is suitable for the production of jewellery. And that difficult extraction process also contributes to the diamond’s rarity. Are all diamonds equally rare? Before confirming or refuting this statement, it’s important to know that diamonds occur in all possible colours. The rarest colour is red. Only a few of these are found every year. The price for this diamond is therefore significantly higher than for the more common brown or yellow diamond. A higher price naturally also means a higher value, which, in turn, makes the red diamond interesting for investment purposes. An option which is almost only exclusively available to professional investors. We regularly see coloured diamonds go under the hammer at well-known auction houses like Sotheby’s. One of these rare red diamonds was discovered in Australia in the autumn of 2016. The 4.38 carat rough diamond, which seemed to glow like hot coal, was given the appropriate name ‘Argyle Everglow’. This diamond was offered for sale at a ‘by-invitation-only’ auction. How much was eventually paid for this diamond is not common knowledge. But that the price amounted to several millions is more than likely. 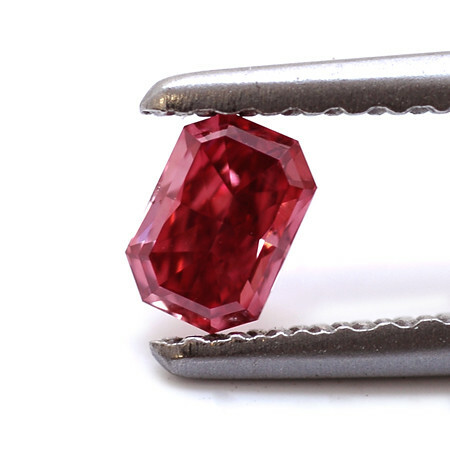 Even though most red diamonds are fairly small, their price is relatively high. The price for the previous red diamond auctioned amounted to over 1.15 million dollars per carat. Would you perhaps like a more affordable alternative to be included in a piece of jewellery? Then perhaps go for a ruby. Statement confirmed? Yes, diamonds are rare. But the rarest ones are the red variants. Why a synthetic diamond isn’t a false diamond? Some people say that non-natural diamonds are false diamonds by definition. A non-natural or synthetic diamond is often difficult to distinguish from a natural one. This is because they are often made from the same raw materials, but then in a laboratory where the natural growth process is copied in an accelerated manner. Synthetic diamonds have gained enormous popularity in recent years, but are mainly used for industrial applications. Considering their hardness and the rarity of natural diamonds, this is the perfect solution for various industrial purposes. Plus the price of a diamond made in a laboratory is on average 30% to 40% lower. It’s also becoming increasingly more difficult to distinguish between natural and synthetic diamonds with the naked eye. That’s why you will also be issued with a certificate with a synthetic diamond. The descriptions on this certificate will be different from those on the certificate of a natural diamond. A synthetic diamond may therefore only be sold with the explicit statement that it concerns a non-natural product. We refer to it as forgery or fraud when this is not the case. And this is obviously a punishable offence. Statement confirmed? A false diamond is not quite the same as a synthetic diamond. One of the biggest myths is probably that when you buy a diamond, there is quite a big chance of it being a blood diamond. A blood diamond is a diamond which comes from conflict areas in Africa, where the proceeds are used to finance rebels. These diamonds are often extracted under duress, even by children! The Kimberly Process does everything in its power to stop these inhuman conditions. This international collaboration therefore prescribes specific rules and every cargo of diamonds which crosses an international border will be subjected to thorough inspections. The accompanying certificate also has to be protected against forgery. Are any blood diamonds still in circulation? These days most diamonds sold are not blood diamonds. How can you be sure, as a consumer, that the price you’re paying for your diamond isn’t a human price tag? By purchasing from a reliable point of sale! You won’t need to worry if you buy diamond jewellery from a recognised jeweller. Transparency is therefore indispensable when you by a diamond or diamond jewellery. You’ll be fine if the seller can prove his zero tolerance policy where conflict diamonds are concerned. Plus blood diamonds are usually sold outside the large diamond companies. And this would be for a lower price per diamond. Statement confirmed? Even though approximately 1% of all diamonds are blood diamonds, you don’t need to worry about your purchase from a recognised diamond seller. People often say that diamonds can’t be damaged. But is that really true? It’s a fact that diamond is the hardest material in the world, however it’s not the strongest material. If you hit the diamond with a steel hammer from a certain angle, you will most definitely end up with it shattered in a thousand pieces. OK, so you probably won’t be testing your diamond’s hardness with a steel hammer. But there are also other factors which could damage your diamond. And considering the rarity, emotional value and price of a diamond, that would naturally be a real shame. It will therefore always be important to look after your diamond jewellery and loose diamonds. The first important point to note is the safe storage of your diamond jewellery: always separate all your diamond jewellery! This is because they could suffer friction damage. Keep everything scratch-free by keeping them in a soft bag or a specially designed jewellery box when you are not wearing them. Even though it’s perfectly possible to wear your diamond jewellery every day, we recommend not cleaning, sleeping, doing sports activities or swimming with your jewellery. Diamonds and other gems are sensitive to discolouration when they come into contact with chlorine found in swimming pools. Salt water can also result in your jewellery taking on a dull appearance. We also recommend regularly cleaning your diamond. How can you safely maintain and protect your diamonds? This can effectively be done with mild soapy water. It goes without saying you can also opt for a professional clean by your jeweller. Professional cleaning like this is done based on vibrations. Statement confirmed? A diamond can most definitely be damaged. But just a few precautionary measures will allow you to enjoy your beautiful diamond jewellery for an eternity. Would you like to learn more about diamonds? 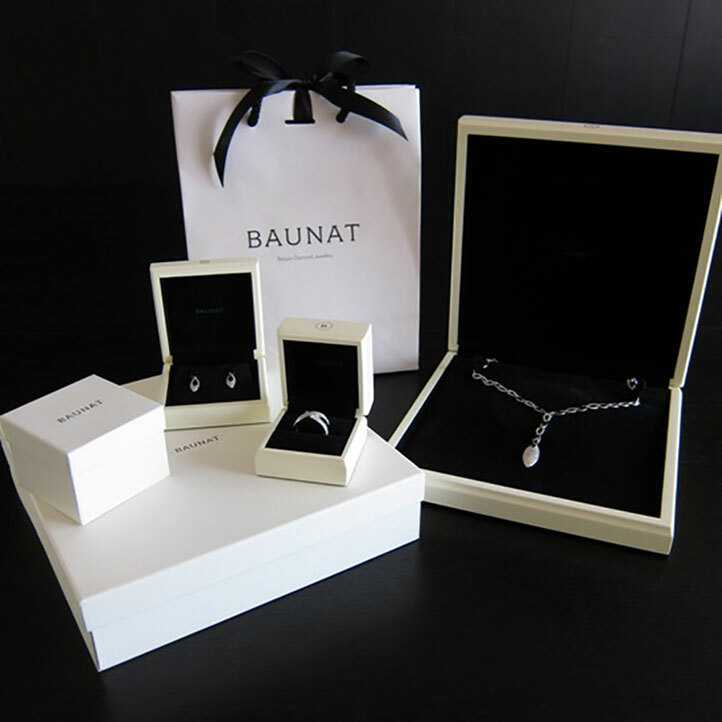 Or are you looking for the perfect diamond jewellery? Then contact BAUNAT’s experts.